Saving, Loading and Importing is always done trough the same Icons. The disk is for saving AND loading. 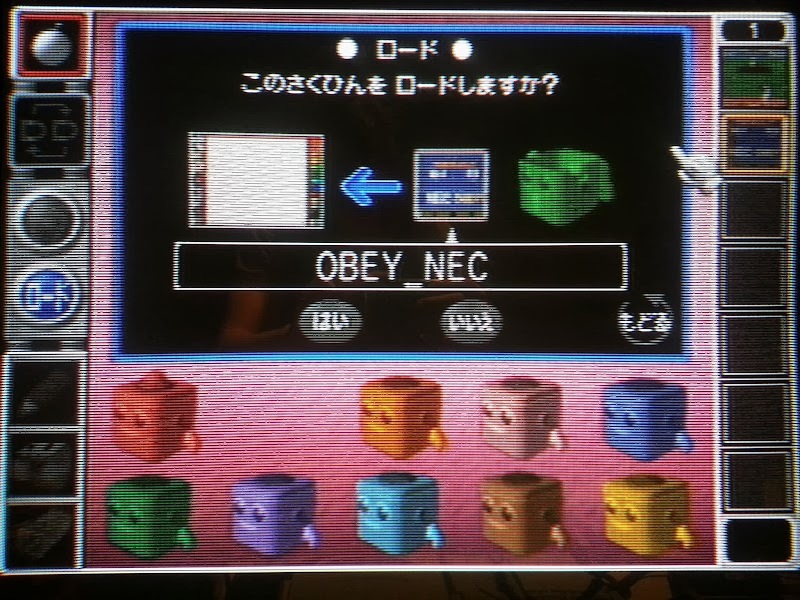 The cartridge let's you capture images trough the capture cartridge. And with the Pocket Camera you access the Pocket Camera in the transfer pack. The light signal is for saving (red, upper) and loading (blue, lower). - After selecting saving or loading, select one of the 10 boxes in the bottom middle and then select a save spot or object. - For saving it shows a NEW spot. - before confirming the save or load, the arrow points in the direction of the data flow (from or to workspace (left)), press yes (left) or no (right) option to continue or cancel. Or Go back (circle arrow). - After saving in a NEW save spot, you will be asked if you want to set a name. After ending your desired operation, go back to the previous screen with the Bomb in the upper left (Or Press Start to have the cursor jump directly to it). Attention! 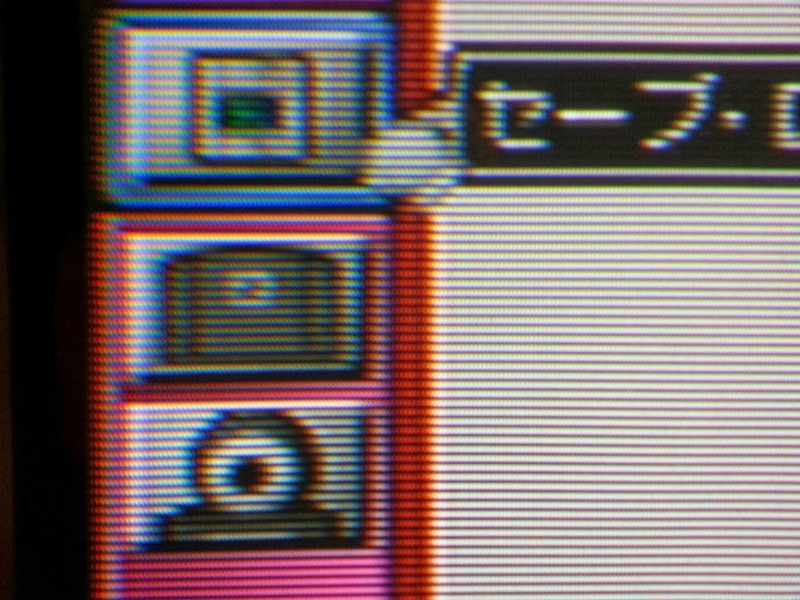 Only Japanese Pocket Cameras work, western Game Boy Cameras are not recognized. 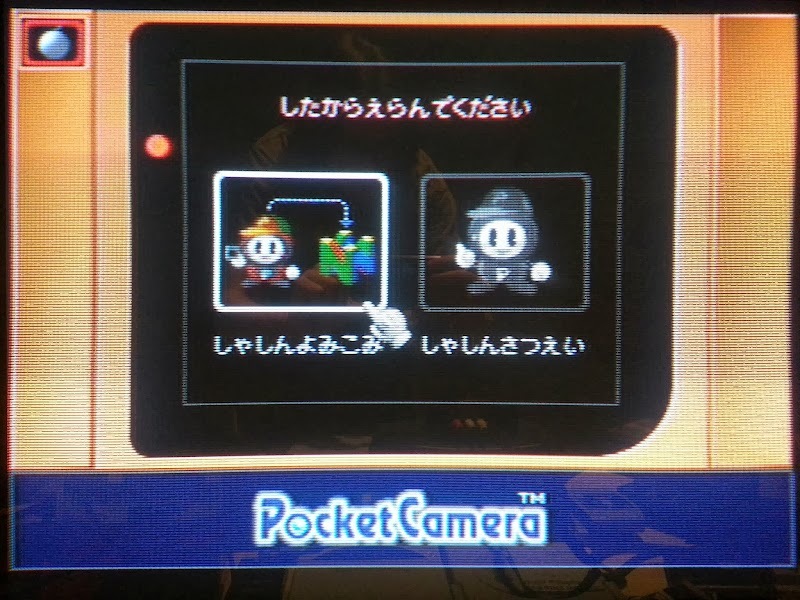 Just transfer your pictures to a Japanese Pocket Camera to import them. With the left option, you can select one of your saved pictures from the Pocket Camera to import. After you selected a picture, you got the option to change the base colour palette of the image. Accept and quit back with the Bomb Icon. With the right option, you can take a new photograph directly with the Pocket Camera in your controller. No need for a Game Boy device to take pictures. Capture with A, or Left Mouse button, change contrast and brightness with the C-Buttons. After capturing your photo, accept and quit back with the Bomb icon. Capturing from Capture Cartridge works similarly to the Pocket Camera option. Don't forget to accept and quit back with the Bomb icon. (It's confusing, I know).